The Willamette Valley Visitors Association has launched a Christmas tree ornament hunt in the Willamette National Forest to inspire and increase outdoor recreation activities, connect locals and travelers to public lands, and to win prizes. The ornament hunt will highlight 1,700 miles of trails on the Willamette National Forest. "While hunting for ornaments, visitors will discover miles of scenic trails that the Willamette National Forest has to offer," says Willamette Valley Visitors Assoc. President, Irene Bernards. The Willamette Valley Visitors Association has launched a Christmas tree ornament hunt in the Willamette National Forest to inspire and increase outdoor recreation activities, connect locals and travelers to public lands, and to win prizes. 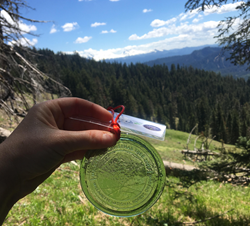 Two hundred glass ornaments will be hidden along non-wilderness trails on the Willamette National Forest beginning May 24, 2018 for lucky adventurers to find. In addition to a keepsake ornament, over 120 lucky winners will be awarded prizes and all entrants will be automatically entered to win the grand prize: a trip for two to Washington D.C. to attend the U.S. Capitol Christmas Tree lighting and festivities. The Sweet Home Ranger District of the Willamette National Forest is responsible for providing the 2018 U.S. Capitol Christmas tree. The Willamette National Forest in partnership with nonprofit Choose Outdoors and Travel Oregon will bring this special gift from Oregon to Washington D.C. for the 2018 holiday season with support from sponsors, including the Willamette Valley Visitors Association. The tree will be cut on the Sweet Home Ranger District in early November and prepared for the 3,000-mile expedition to Washington D.C. The coast-to-coast journey will trace the Oregon Trail in reverse and include a series of community celebrations throughout Oregon and across the United States. The journey will culminate with the official tree lighting on the West Lawn of the U.S. Capitol Building in early December. Seventy smaller companion trees will also be sent to Washington, D.C. to decorate government buildings and public spaces this December. Additionally, Oregonians will contribute 10,000 handmade ornaments, to be created throughout 2018. Those looking for ways to be involved in this exciting project can find information at capitolchristmastree.com. 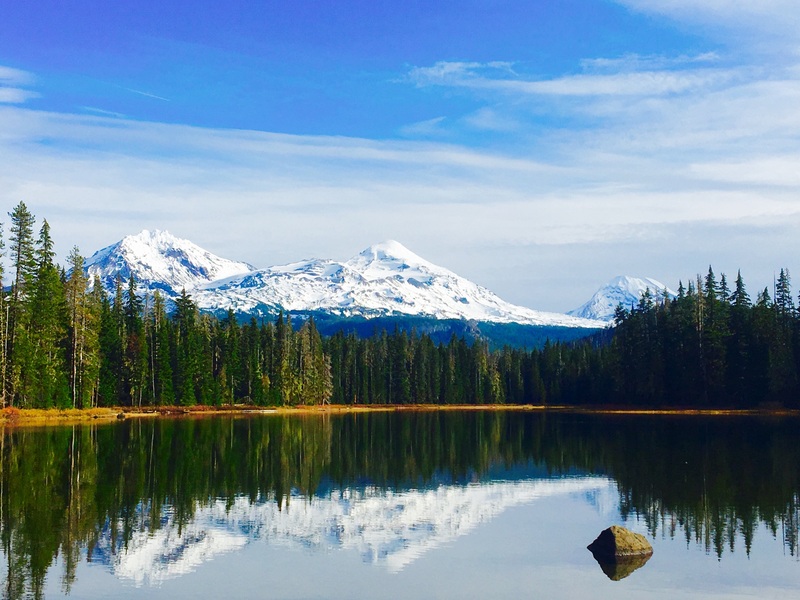 With over 1.5 million acres, the Willamette National Forest is home to eight wilderness areas, including the popular Three Sisters Wilderness and Mt. Jefferson Wilderness, a variety of backpacking and day hiking opportunities, waterfalls, wildflowers, mountain biking trails, boating, swimming and much more! The varied landscape of high mountains, narrow canyons, cascading streams, and wooded slopes offers excellent opportunities for visitors. We hope this yearlong Capitol Christmas Tree event inspires people to explore the Willamette National Forest. The logo on the ornament captures the beauty of the State of Oregon and the Willamette National Forest, with its snowcapped mountain, fields of green and lush forests. The trail leading to the tree symbolizes the adventurous spirit of Oregonians. The logo encourages modern-day adventurers to #FindYourTrail on the Willamette National Forest. About the U.S. Forest Service The mission of the U.S. Forest Service is to sustain the health, diversity and productivity of the nation’s forests and grasslands to meet the needs of present and future generations. The agency manages 193 million acres of public land; provides assistance to state and private landowners; and maintains the largest forestry research organization in the world. Public lands the Forest Service manages contribute more than $13 billion to the economy each year through visitor spending alone. Those same lands provide 20 percent of the nation’s clean water supply, a value estimated at $7.2 billion per year. For more information, see http://www.fs.fed.us. Choose Outdoors works to increase all American's enjoyment, appreciation and support for outdoor recreation activities that connect them to our public lands. These connections will ensure that our public lands will always be there for future generations to cherish. http://www.chooseoutdoors.org.